Toluna is back. This one is has a great payout. Start now and you can save a few extra dollars this holiday season! What I like best about Toluna, it’s not just surveys. 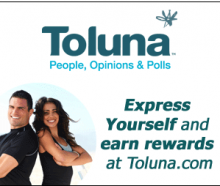 Toluna is a global site for everything related to surveys, polls and opinions so you have a better chance of earning. 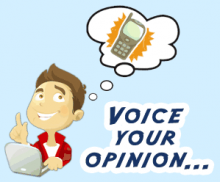 Voice your opinion by participating in other community members’ polls and opinion topics! All information you provide is strictly confidential and will never be used to advertise or to sell you anything. Nielsen Home Scan, Synovate, and Shoppers Voice ALL Accepting Applications! This is a rare day! Several great companies have opened their application process. This is a really great time to get involved with these companies. I’ve said over and over, you will not break the bank with these opportunities but you will be able to have a little extra “coffee” money each month. These are legitimate opportunities. Some will pay you with cash, others credit. Click on the links below to find out more information on each program. Nielsen Home Scan: No land line required anymore, makes this a great one! Synovate: Their minimum payout is only $5, so you can start earning quickly. 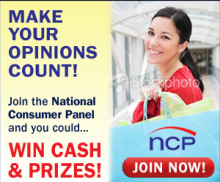 Shoppers Voice: They offer exclusive coupons as part of their payout! Here is another really great way to earn extra money. This one doesn’t have as many limitations on the applicants. Again, great way to earn “coffee” money if you’re a stay at home mom (or dad) like me! About Synovate: Synovate is a leading global provider of market research information and analysis with over 60 years of experience. Synovate provides its panelists with a voice to be heard by some of the largest companies in the world. Check out Synovate, they only open the application process every few weeks so you might want to apply quickly. If you want to earn some extra “coffee” money, this is a great opportunity. PineCone Research is looking for WOMEN panelists ages 18-24! Register to join the PineCone Panel for an opportunity to evaluate new product ideas. If you are in school or need extra cash, this is an awesome deal. Check out PineCone Research for more information.